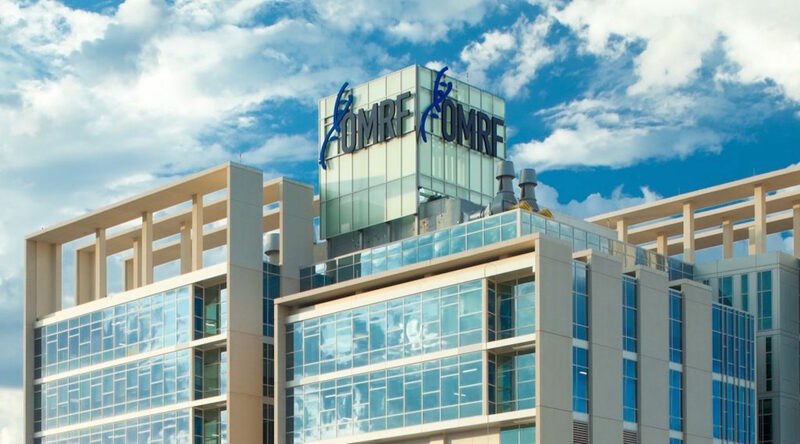 The National Institutes of Health, the Department of Defense, and the Department of Health and Human Services have awarded OMRF three new grants totaling $5.7 million. A $4.37 million grant to James to better understand autoimmune illnesses characterized by pain in the muscles and joints. The project, called the Oklahoma Rheumatic Disease Resources Core Center, will provide resources to help scientists investigate and uncover potential treatments for diseases such as lupus and rheumatoid arthritis. The project is supported by the NIH’s National Institute of Arthritis and Musculoskeletal and Skin Diseases under award number P30 AR073750. A $1 million award to Merrill to improve recruitment of minority patients to clinical trials of new therapies for lupus. A $350,000 grant to Merrill to study the impact of common lupus treatments on the degree to which specific genes are making blueprints (RNA) for proteins that regulate the immune system. This will allow better selection of therapies for individual lupus patients based on their underlying immune profiles.